This is the stuff! 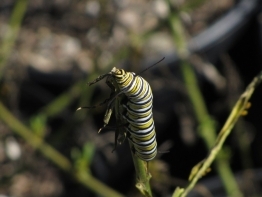 If you want monarch butterflies this is what they eat. To get them to come to your garden and thrive you need to get enough plants to reach “critical mass”. You really need 6 so planted near each other so they will find you, lay eggs, have enough to eat, and produce new butterflies.